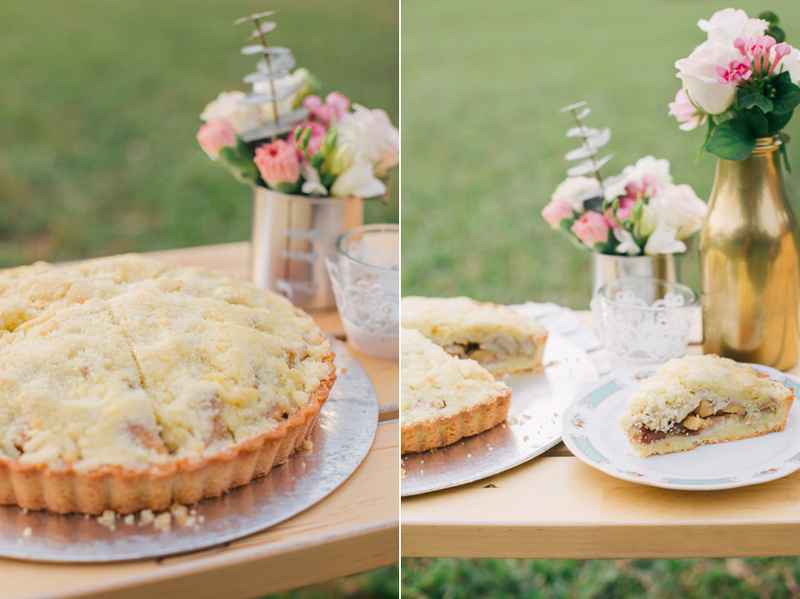 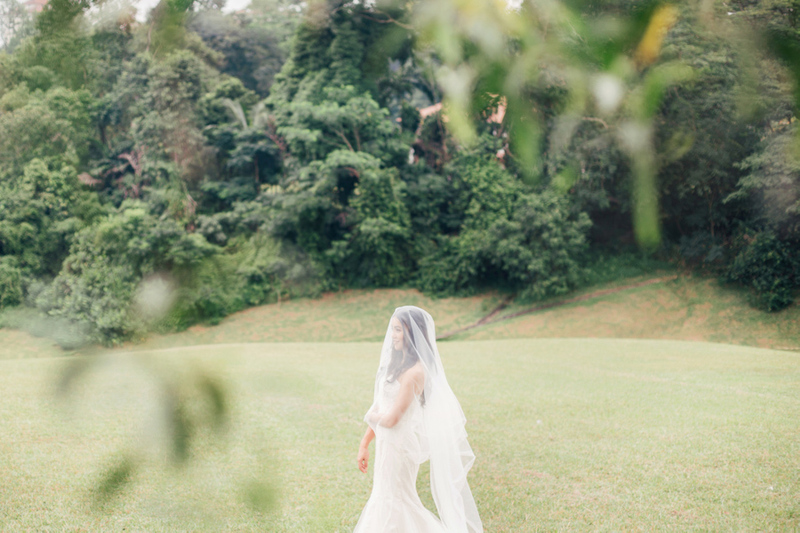 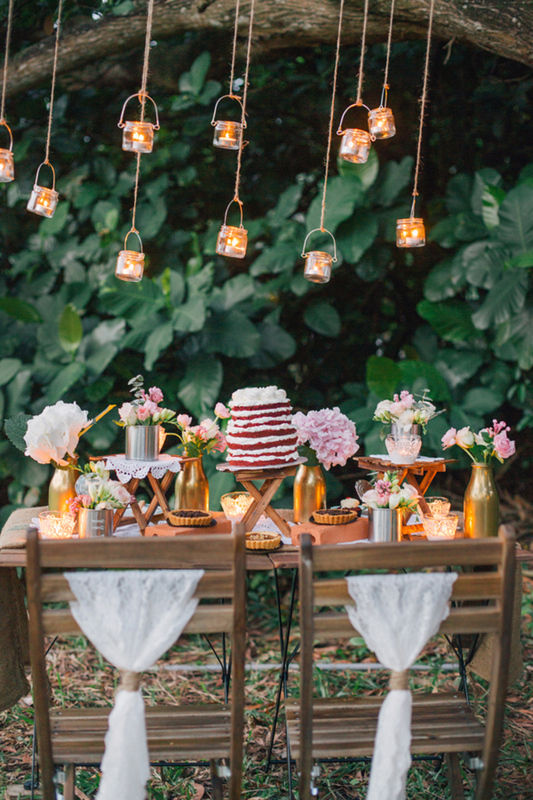 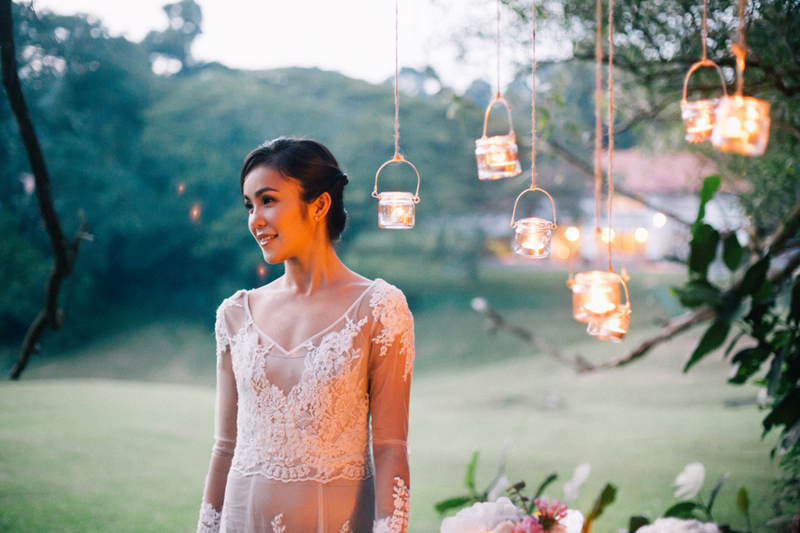 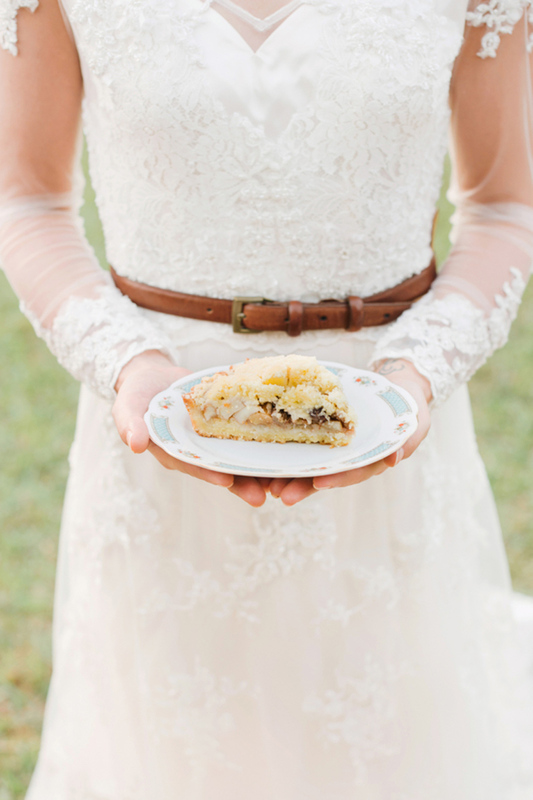 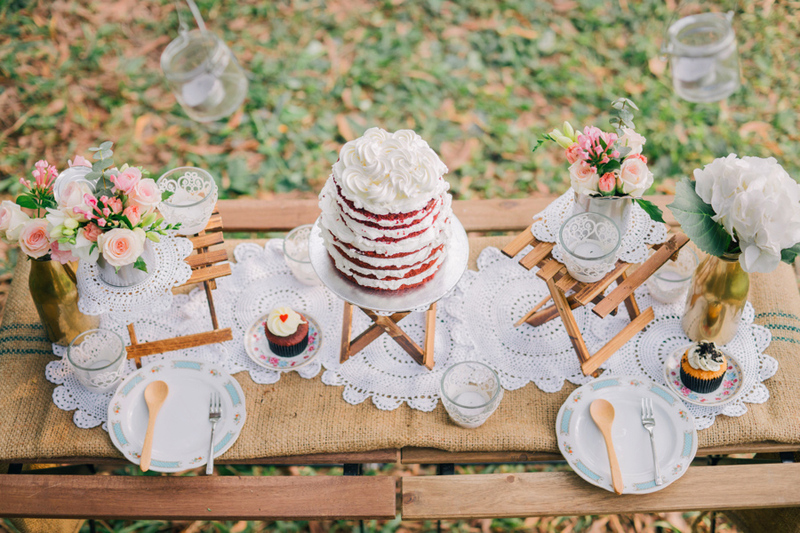 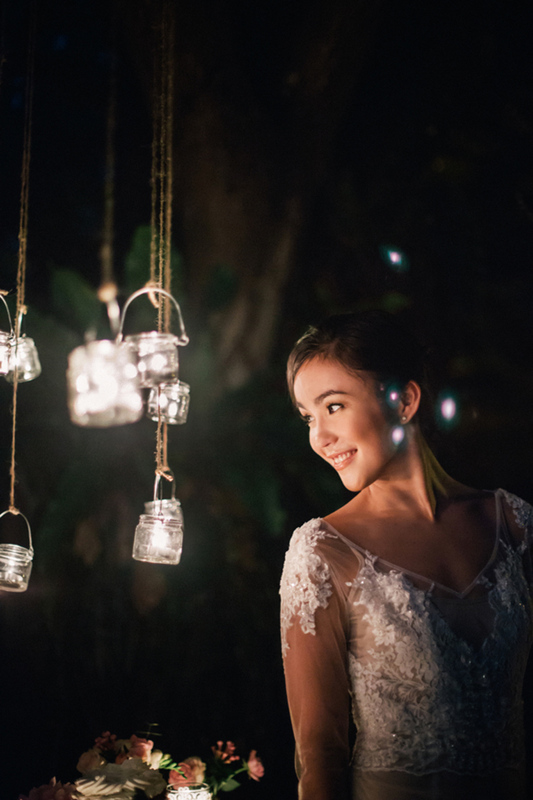 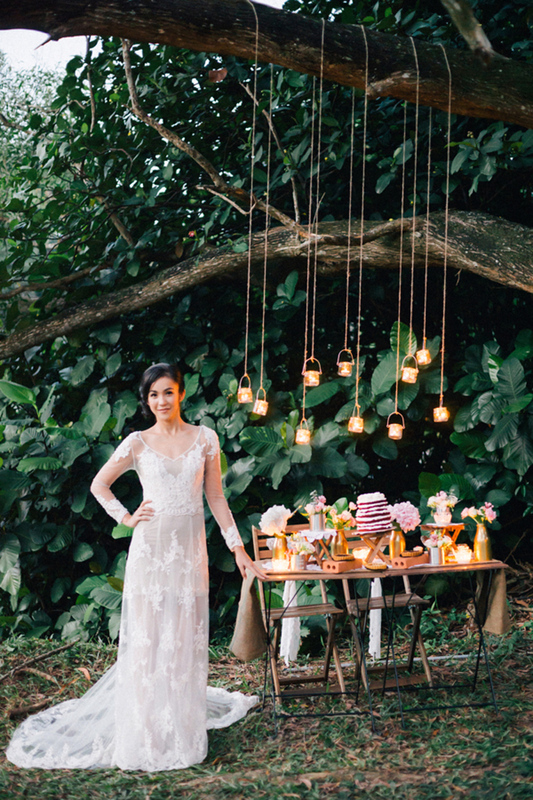 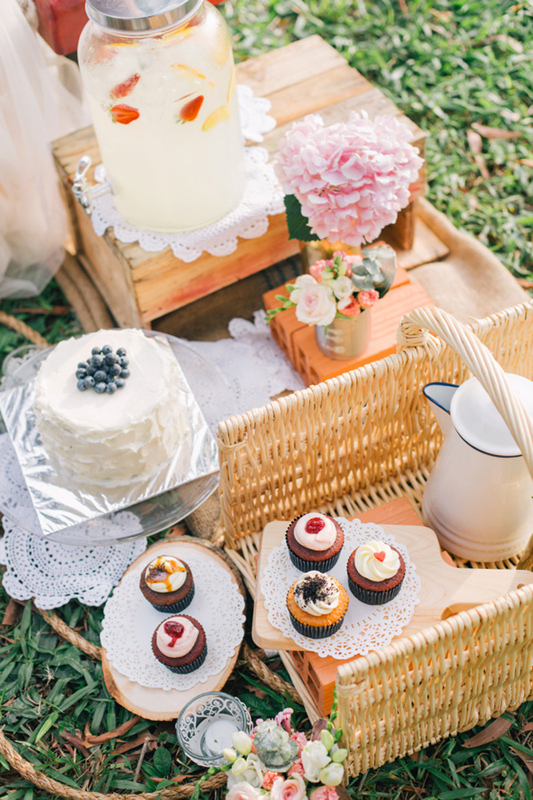 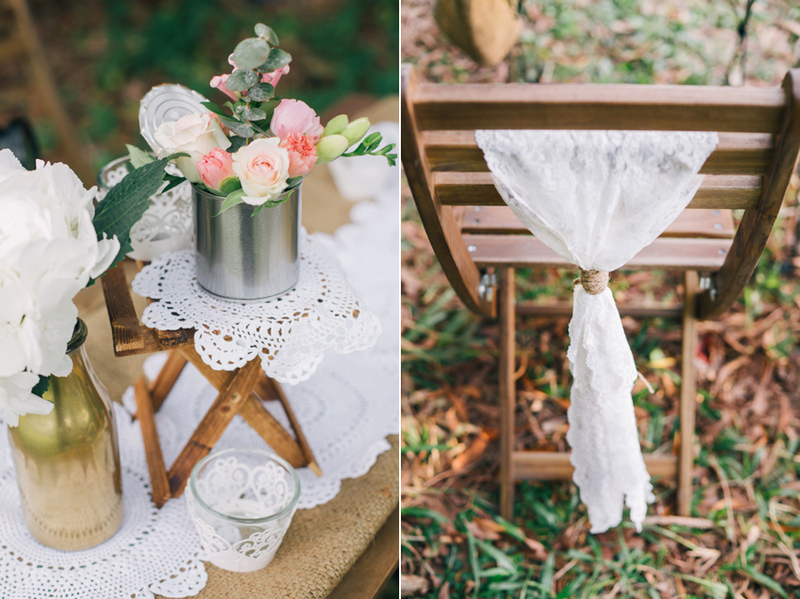 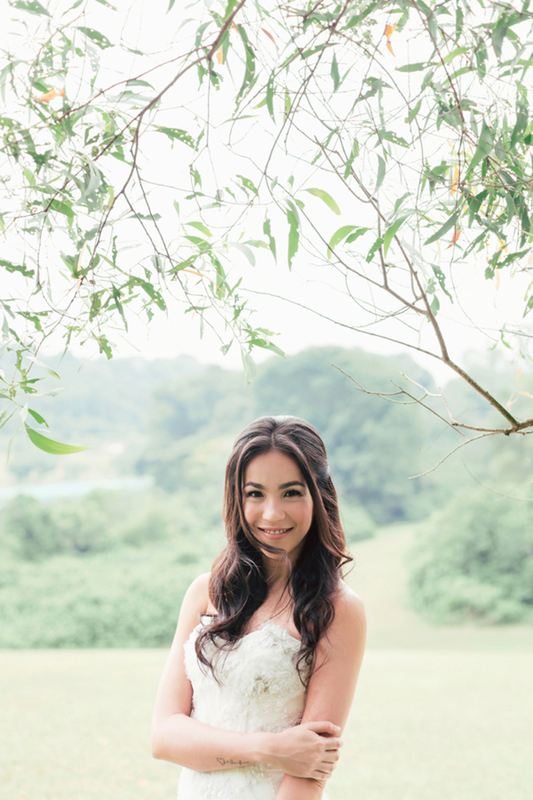 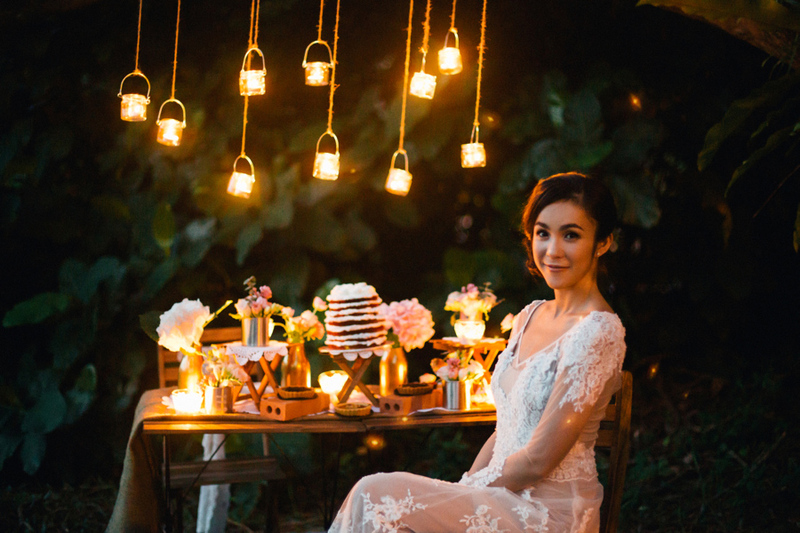 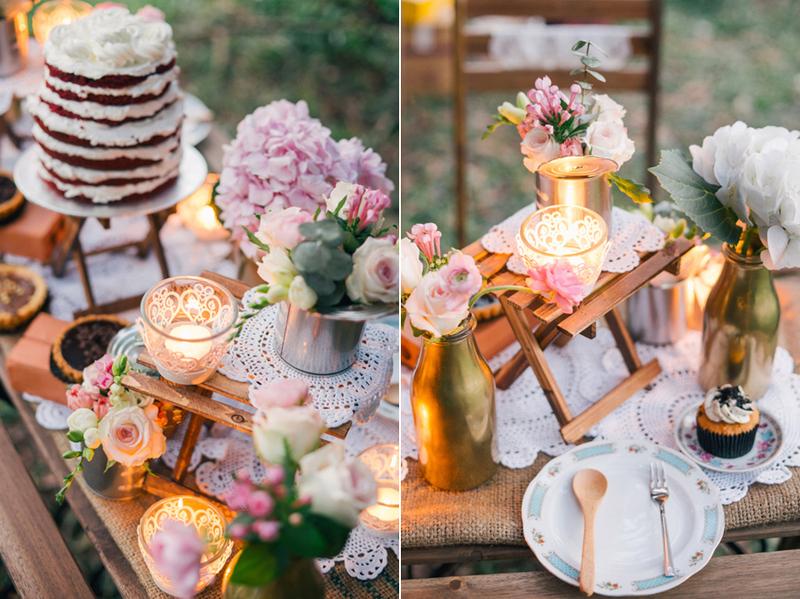 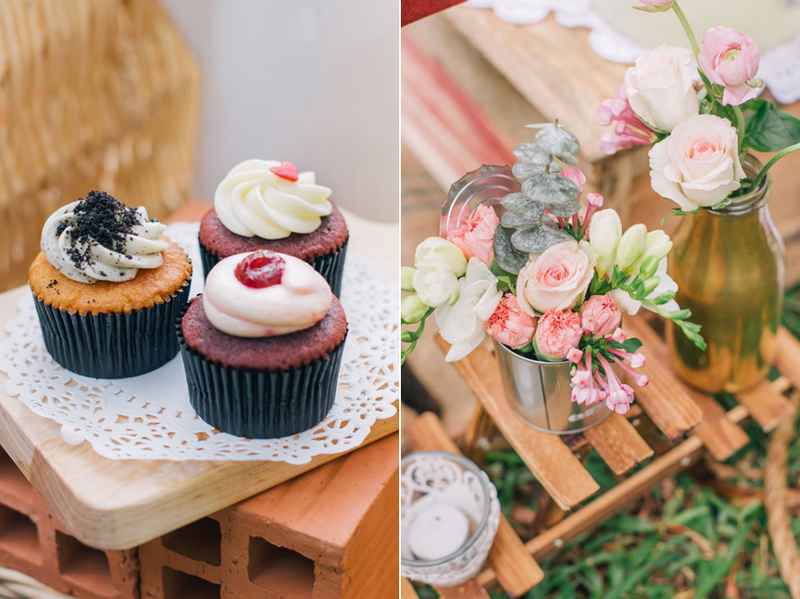 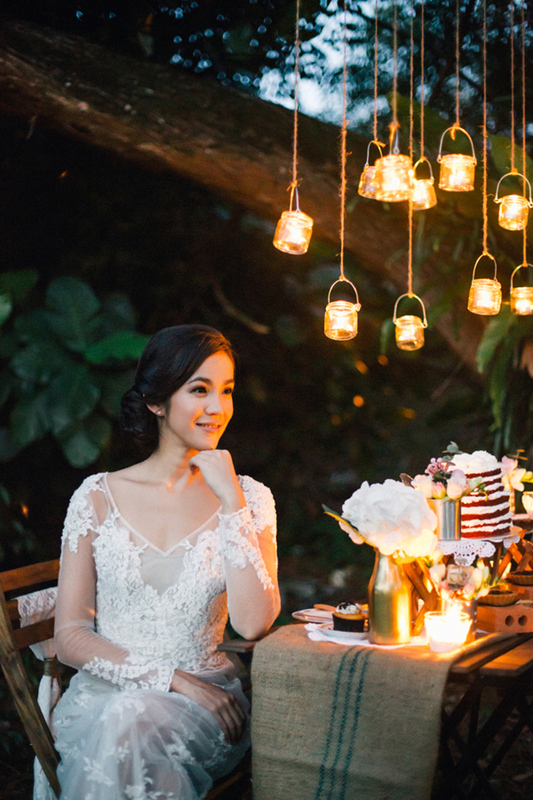 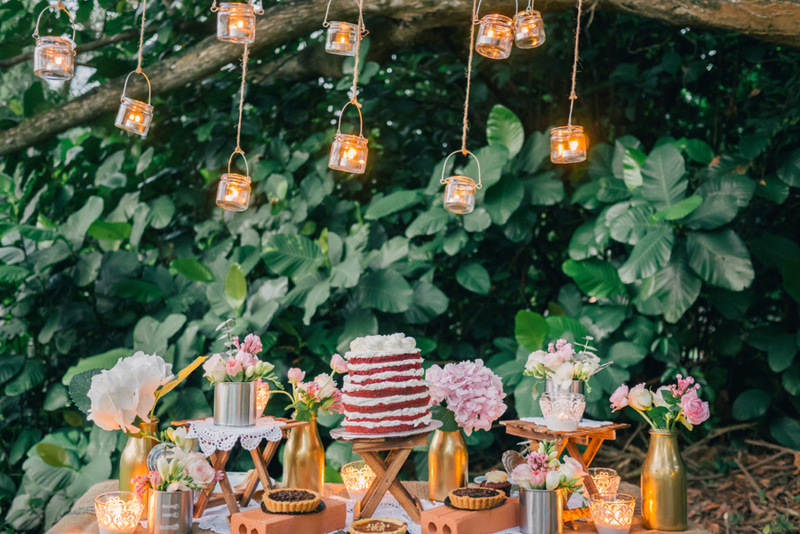 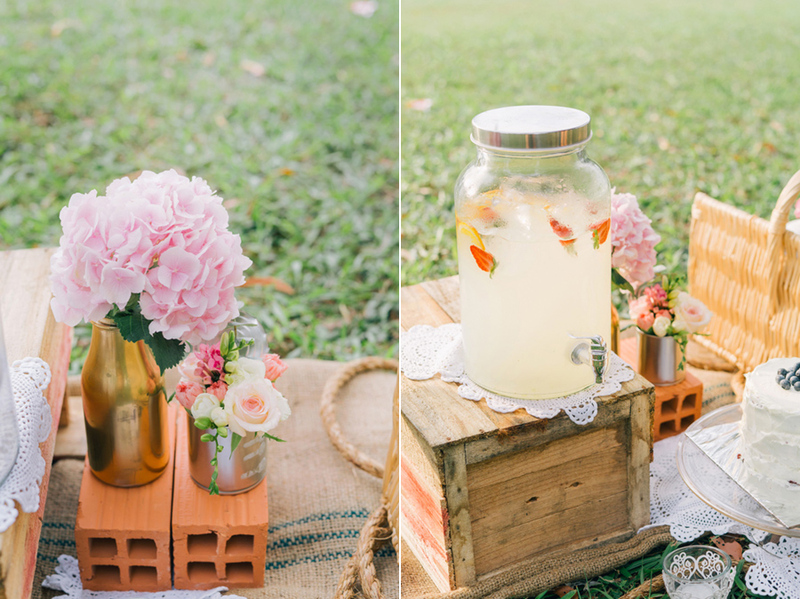 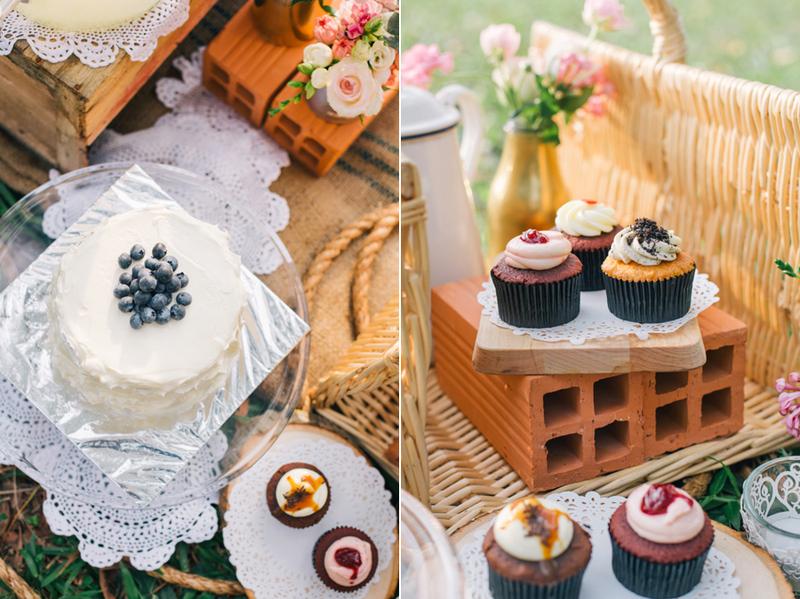 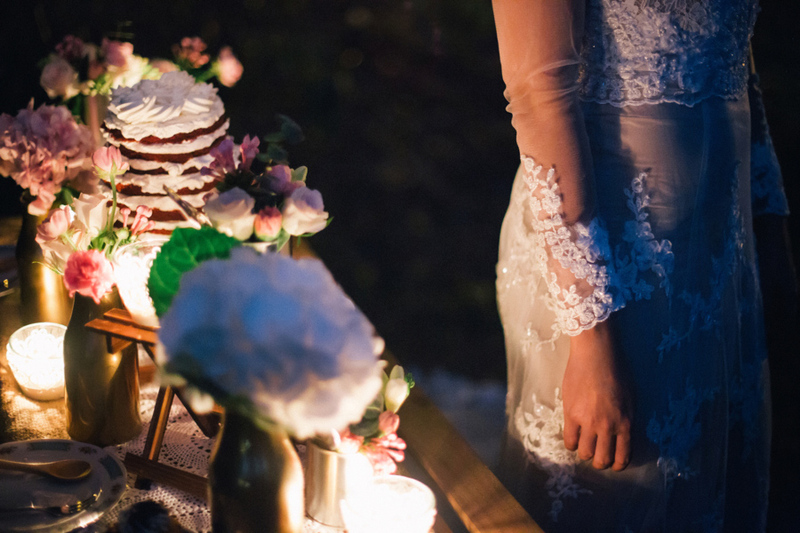 There is much to inspire and be inspired by in this dreamy outdoor engagement shoot filled with beautiful natural lighting, delicate lace gowns and tempting dessert table spreads. 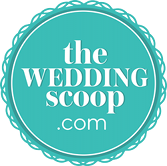 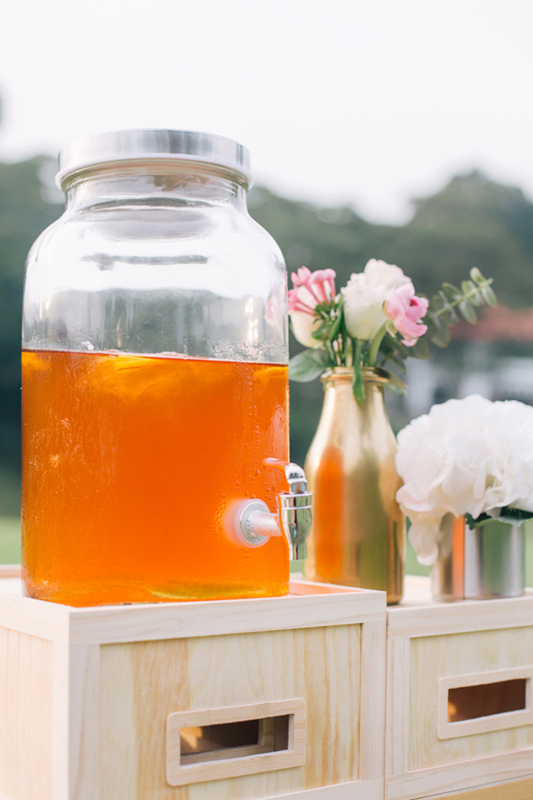 Enjoy Wedding Scoopers! 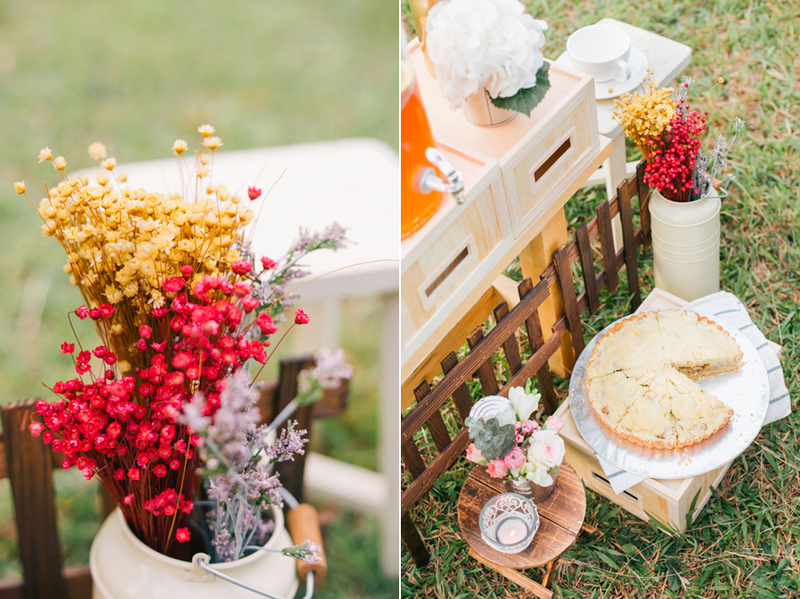 We love these vibrant crimson and saffron shades against the soft pastels. 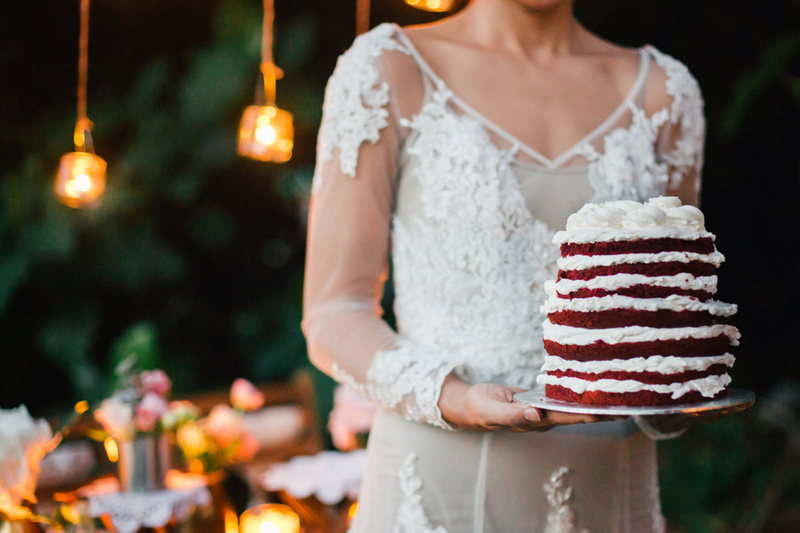 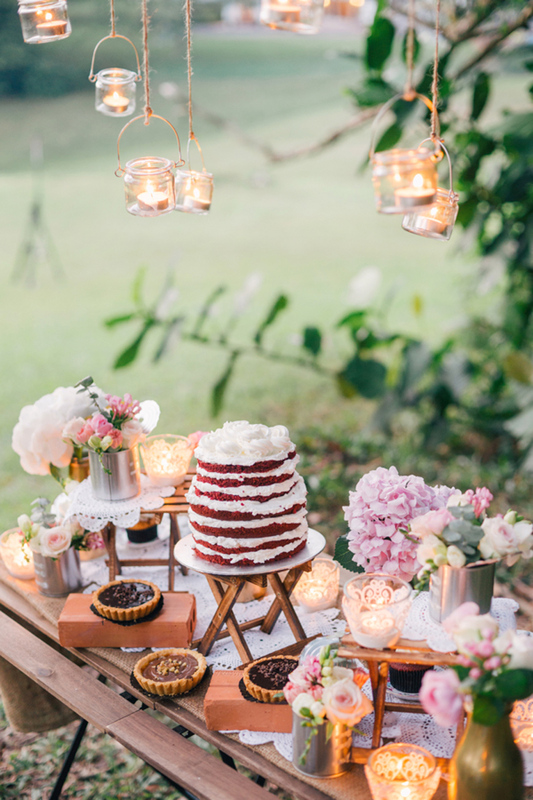 The naked red velvet wedding cake takes center stage on the dessert table! 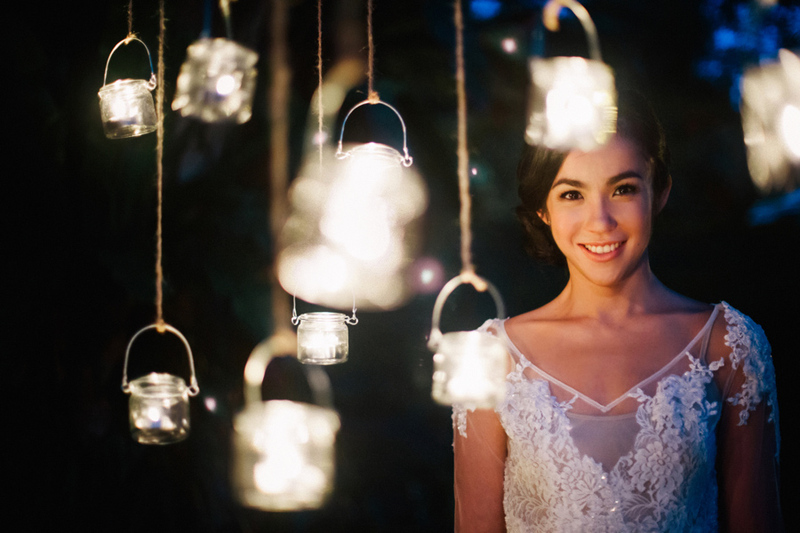 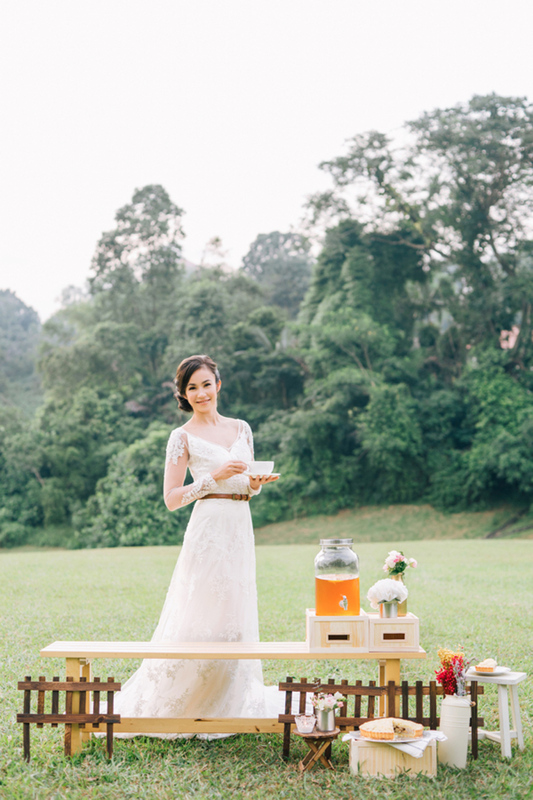 Thank you to all the lovely vendors involved in this inspirational shoot for sharing your wonderful creativity with us! 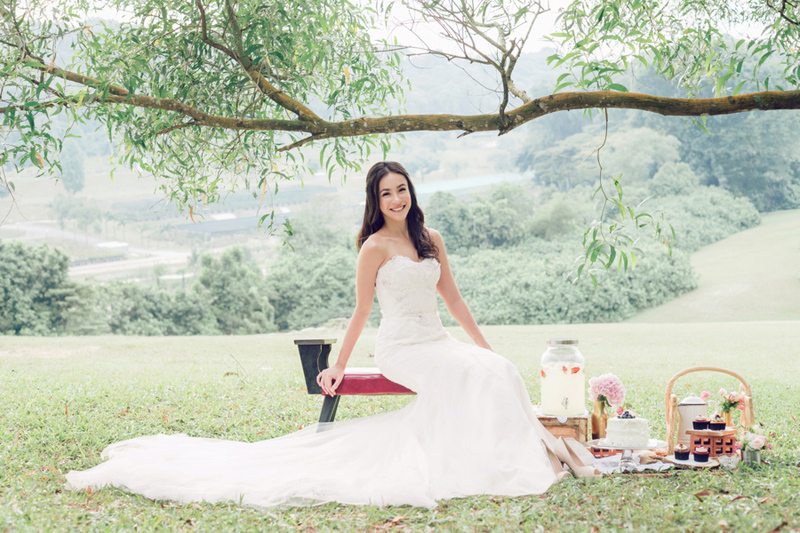 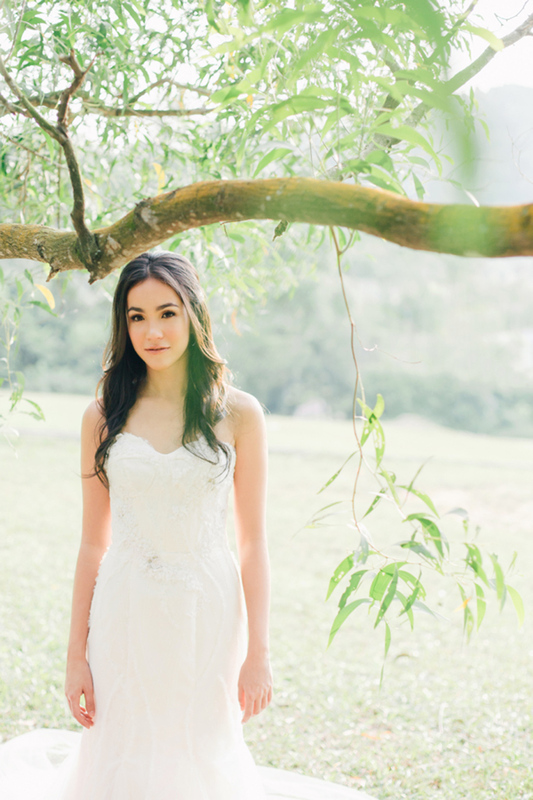 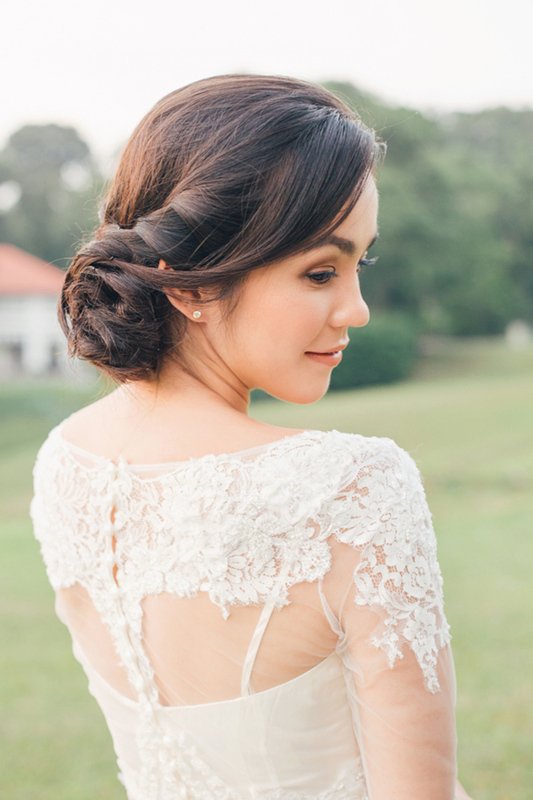 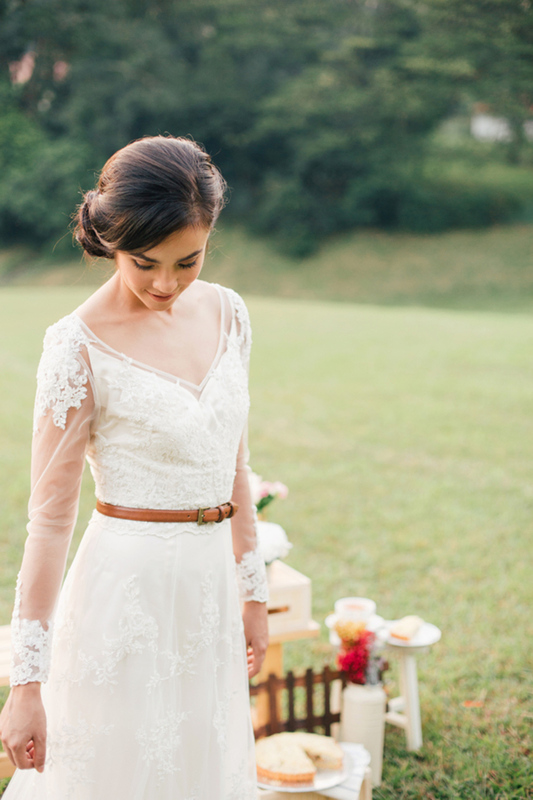 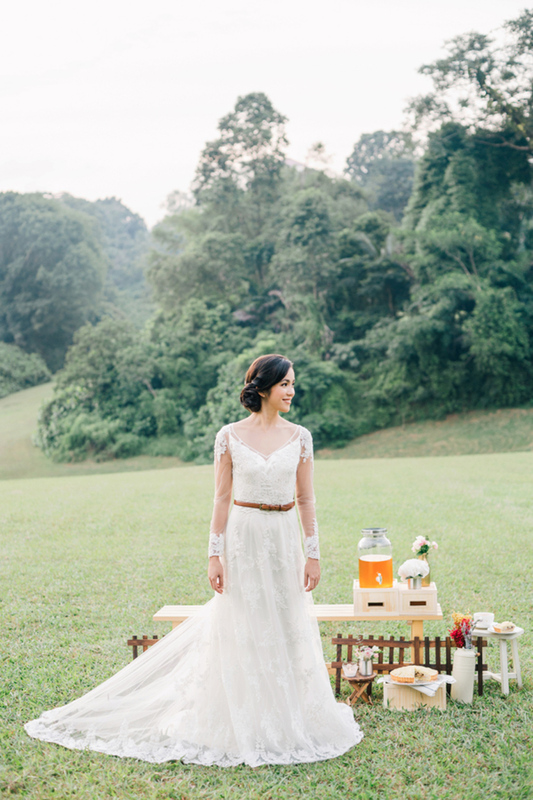 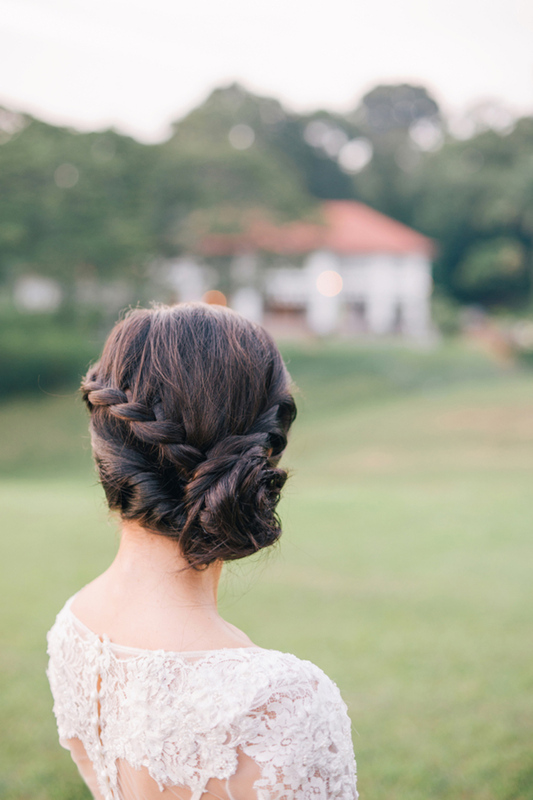 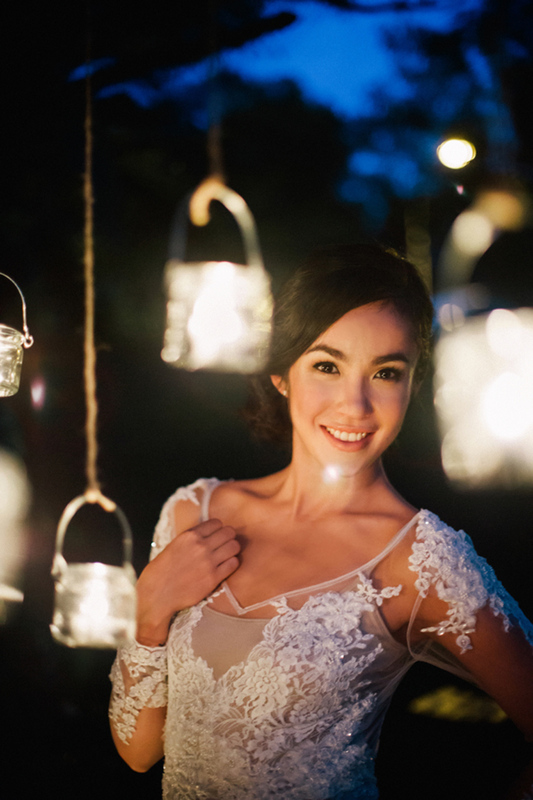 Wedding Dresses: Caramel & Co.